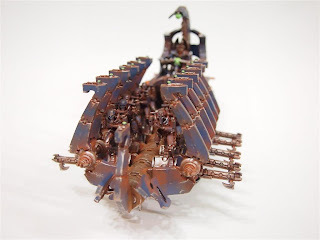 So here is the final model in my 1500pts list, the mighty Ghost Ark. I have to say this thing is the biggest hog ever to build and paint. Building it took roughly 5 hours and painting it was about another 13. 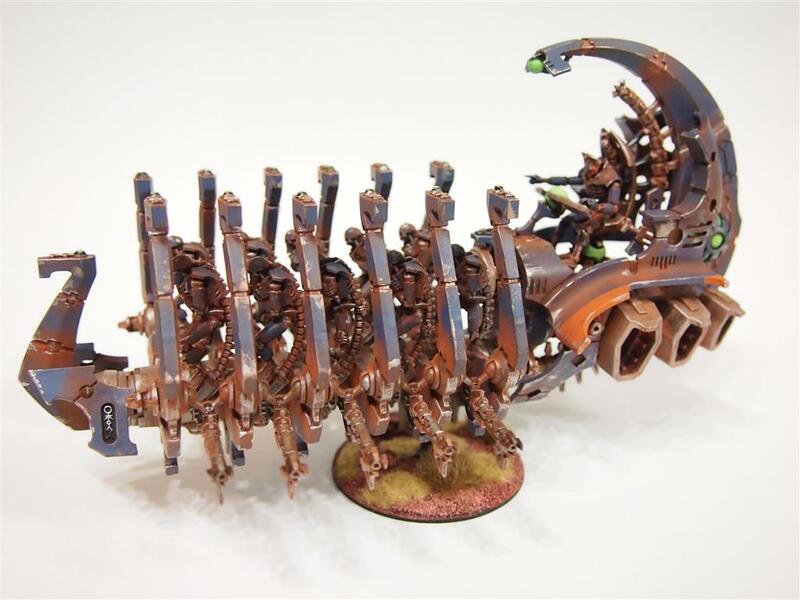 Despite all of that I love the form and its size as it makes a great center piece for this army. 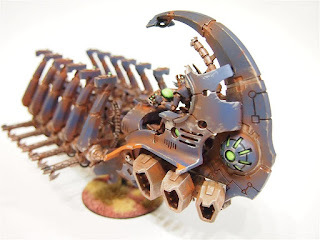 Next Up: I am going to do some full army shots of the Necrons and a small write up to go with it including my final army lists and a little blurb on my limited experience with this army! It so reminds me of a press gang ship, which in turn reminds me of The Far Side and now all I can think of is one of the guys at the back pulling a practical joke or not rowing like everyone else. 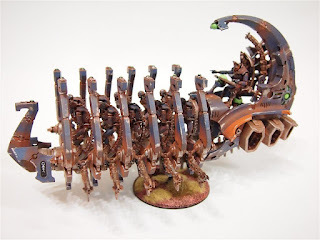 When Necrons first came out, I didn't think they were much to look at (kind of like the original 'nids) but I gotta admit, you've made them look entirely badass man.